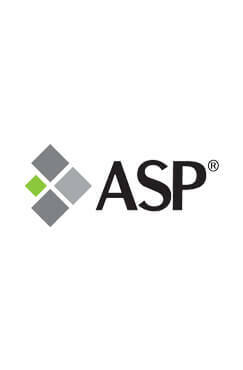 The Associate Safety Professionals (ASP) are trained individuals who conduct half or more of the safety duties like assessing the risks that the work place is exposed to, what are the potential hazards and how it could be controlled, weighing the risks and measures to abet hazards, probe into any accident which has occurred, and the quantum of loss, its documentation and keeping an emergency response plan ready in case it is required The other duties of the Associate Safety Professionals also encompass recognition of hazard, fire protection, regulatory compliance, control of health hazards, ergonomics, management of hazardous materials, environmental protection, training, accident and incident, investigations, giving adequate advise to the management, proper record maintenance, streamline emergency response, managing safety programs, product safety and security. They almost function as fully trained safety personnel. The Associate Safety Professionals should necessarily have a U.S. bachelor’s degree in any field or could be functioning as an associate in the safety field in any capacity or even be working in similar field. The Associate Safety Professionals should necessarily have one year of safety experience where safety is given a minimum of 50% preference in the commercial environment. They should have passed the Associate Safety Professionals exam and to retain their membership they have to pay an annual renewal fee and meet all the recertification requirements. Both classroom and e-learning facilities are provided by the institute.